Thirty-five years ago, the Ford Motor Company manufactured its first automobile. 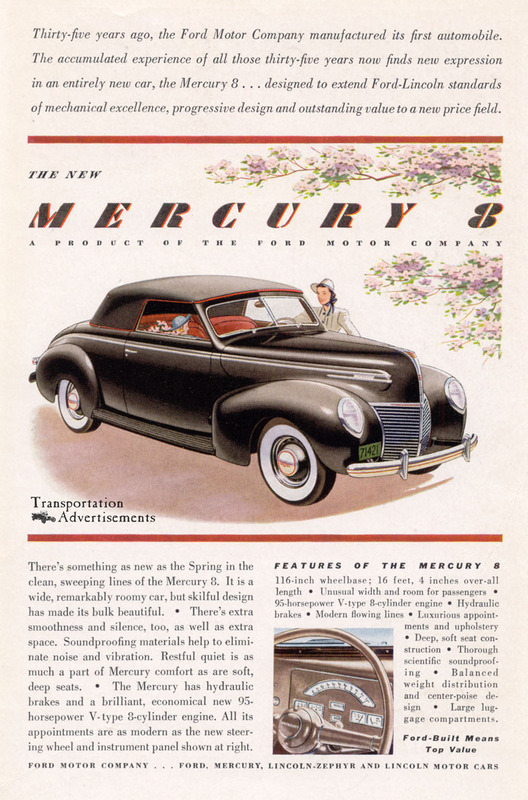 The accumulated experience of all those thirty-five years now finds expression in an entirely new car, the Mercury 8 … designed to extend Ford-Lincoln standards of mechanical excellence, progressive design and outstanding value to a new price field. There’s something as new as the Spring in the clean, sweeping lines of the Mercury 8. It is a wide, remarkably roomy car, but skillful design has made its bulk beautiful. – There’s extra smoothness and silence, too, as well as extra space. Soundproofing materials help to eliminate noise and vibration. Restful quiet is as much a part of Mercury comfort as are soft deep seats. – The Mercury has hydraulic brakes and a brilliant, economical new 95 horsepower V-type 8-cylinder engine. All its appointments are as modern as the new steering wheel and instrument panel shown at right. 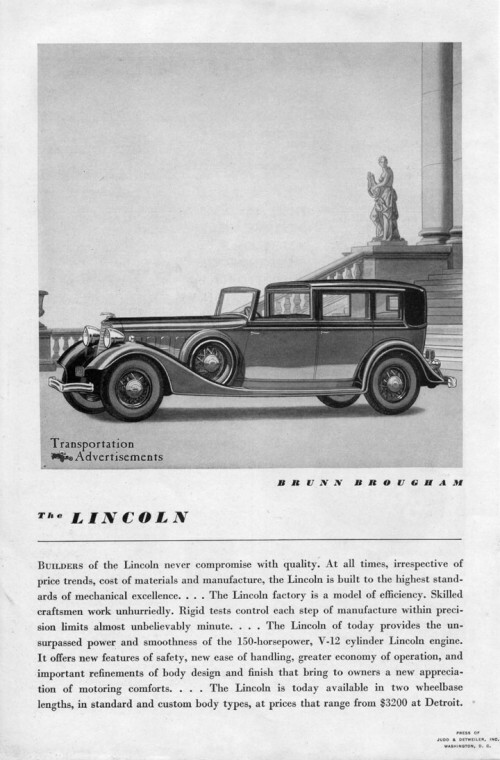 116-inch wheelbase; 16 feet, 4 inches over-all length – Unusual width and room for passengers – 95-horsepower V-type 8-cylinder engine – Hydraulic brakes – Modern flowing lines – Luxurious appointments and upholstery – Deep, soft seat construction – Thorough scientific soundproofing – Balanced weight distribution and center-poise design – Large luggage compartments. Transportation Advertisements is powered by	WordPress 5.0.4 and delivered to you in 0.516 seconds using 32 queries.